Urban Escape hair & beauty founder Craig Withers has had a passion for the hairdressing industry at the very highest levels for the past 23years. Throughout this time, Craig has accrued numerous awards, travelled internationally and was Top Stylist/Assistant Manager at the AVEDA flagship store in London’s Covent Garden. After 6 years in the United Kingdom and a couple more freelancing throughout Europe he returned to Australia as Artistic Director for the AVEDA/Aromascience brand based in Chapel St.
Craig has worked on fashion week campaigns/photo shoots & regularly travels around Australia launching Spring/Summer and Autumn/Winter collections. As an AVEDA Purefessional and National Educator Craig is in high demand nationally facilitating classes in advanced cutting & hair colour techniques. Although still thoroughly enjoying his role as ambassador & National Educator for AVEDA Craig has now turned his attention to creating the perfect salon balance of expertise/professionalism & guest comfort & is now based at the breathtakingly stunning Urban Escape hair & beauty lounge in East Prahran Village. Welcoming our guests too Urban Escape Hair is salon mascot ‘Duke’. Duke brings an abundance of good ‘chi’ to the team. He is fantastic at facilitating lots of smiles into the busy schedules of such an in demand team. After falling into the industry 19 years ago, team leader and Salon Manager Vanessa Plesnicar’s love of hairdressing has grown rapidly. When working in London her passion for hair colouring in particular expanded immensely. Upon returning to Melbourne Vanessa worked in a leading competition based salon & competed in numerous state & national titles including a podium finish in a National Hair-Up final. 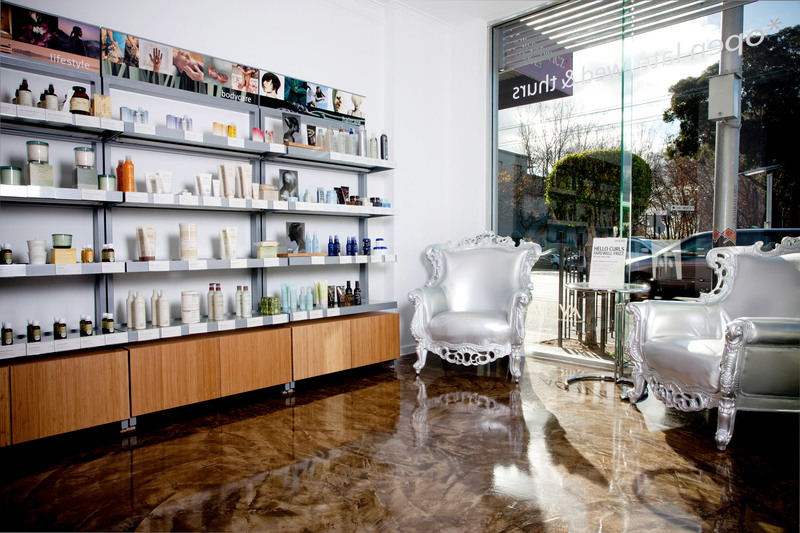 More recently based in a boutique South Yarra salon Vanessa brings an abundance of experience to Urban Escape. After a year of advanced education on the AVEDA colour system Vanessa has successfully achieved the level of Master Colourist at Urban Escape. Always with a Welcoming smile and a variety of amazingly artistic hairstyles Vanessa certainly brings an extra bit of sparkle to Urban Escape. Our newest team member, Isabella brings another dimension to the highly professional team. Isabella’s passion and unique natural ability has had her travel from up North in search of further challenges and advanced education. Isabella’s desire to learn and natural skill will see her propel at a rapid rate through the Urban Escape programme and undoubtedly drawing a high level of attention and demand in no time at all. Salon young gun and all round superstar is Jessica Sargant. Jessica was a stand out at school and genuine contender for Apprentice of the Year. Although only recently qualified, Jess’s skills are sublime thanks to the comprehensive 3yr training programme she has completed at Urban Escape. With abilities that surpass her years, we are excited at what the future holds for Jessica and Urban Escape. Last but by no means least is BeeJay. After successful completion of a Certificate III in Hairdressing, BeeJay found the full time course did not give her the level of experience and expertise she required. So, although technically qualified BeeJay has turned her creative talents to learning the craft of hairdressing to the elite level. 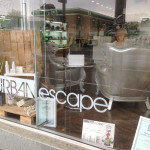 Urban Escape was recommended as a leading salon and it’s commitment to education a true benchmark in the industry. Under the expert tutelage of Craig and the Urban Escape programme, BeeJay is leaps and bounds ahead of her peers and with her make-up skills adding a new dimension, she is poised to surpass many and excite the industry for years to come.